chevrolux: You just need to use a non-standard port. The router catches traffic on all those ports. You can't change them so you will have to use a non-standard port to connect to your FTP server. I've done that using port 1701, still gives the same "Server returned unroutable private IP address in PASV reply" response. Any other ideas? that reads, as your ftp server is handing out the PASV response, with a private ip. this would indicate a miss configuration in the server itself.. although i would have expected it to be a little more smart about it. From What I can see, you're right. However, what I'm left wondering is 1. 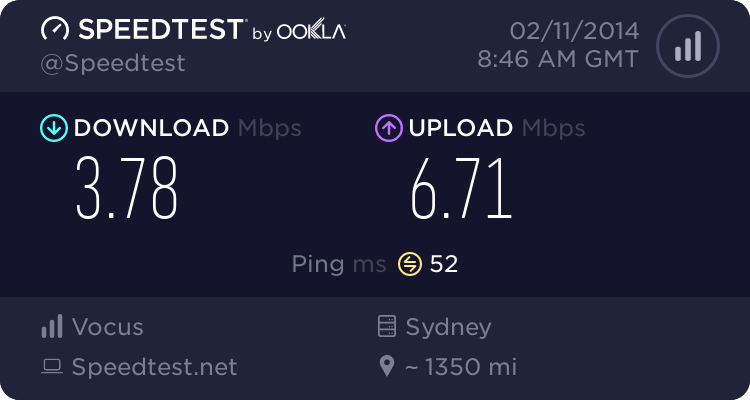 Back when I was on ADSL and used a D-Link modem, everything worked fine, which makes me think the problem is modem related (possibly something to do with NAT), and 2. I'm not sure how to correct it, or even if I can because the FTP server is run by one of Linksys smart wifi routers, which have very basic configuration options. The FTP is run by my Linksys EA6500 router. ah. check around for ip detection methods..
yes, exactly what im getting at. There is currently an updated firmware for the VB104W in Beta testing that will address the port forwarding and some of the other bugs with the current firmware. I have heard that they hope to release it in the next few weeks. There's your problem. Throw it away and get a NAS lol. They are the most terrible things... in the world (said in your best Jeremy Clarkson voice). Countryman98: There is currently an updated firmware for the VB104W in Beta testing that will address the port forwarding and some of the other bugs with the current firmware. I have heard that they hope to release it in the next few weeks. Btw anyone finding AUS traffic is very slow? Perhaps SS need to purchase some more bandwidth? yeah mines slow too, thats weird. i usually get line speed. fritz boxes cost way too much, i think snap charged like $400 for them, as opposed to $20 for the one slingshot have. the modem being a cheap one doesn't at all justify its faults though, they should fix those with all haste. VDSL bridging with this modem. Have tried and failed to get it to work. I've tried two different routers (one running Tomato, and a friends Asus running stock firmware). Neither can sign into the VB104W with PPPoE. I hit the factory reset button and now it's bricked. Serves me right for expecting the factory reset button to work on a modem that can't even forward ports. Salad: VDSL bridging with this modem. Bridging works fine for me, got the modem connected to an Asus N66u right now. How bricked is it? I've had two of these modems now, and one of them resets the password to admin/admin instead of admin/macaddress on factory reset. 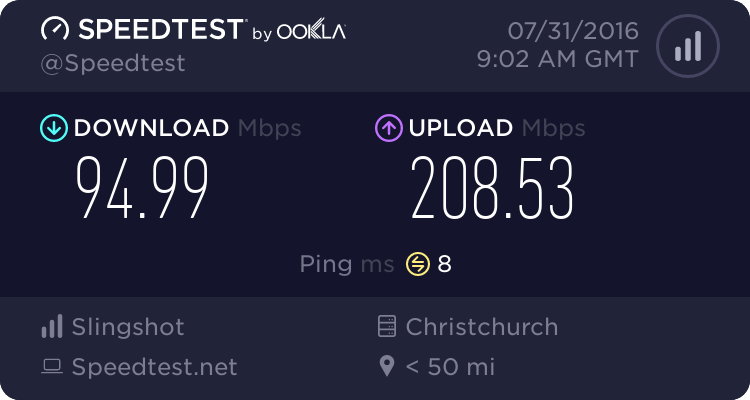 I've been following this thread for a fix/update to the port forwarding problem with these modems, haven't tried bridging but will give that a go today if that is an effective work around to the issue, which is getting pretty annoying (the only reason I wanted to upgrade to VDSL was for using plex remotely, which now doesnt work at all).